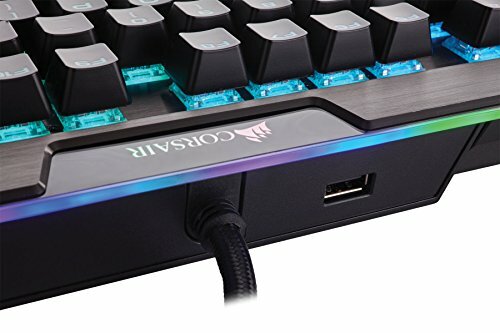 This keyboard is absolutely AMAZING! I love it so much. 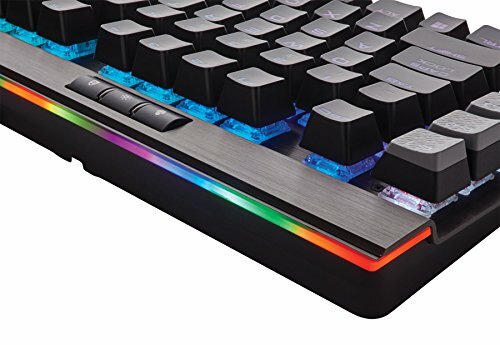 I was torn between this and the BlackWidow keyboard by Razer, but this keyboard really stuck my self-diagnosed OCD with its clean cut edges and well cut parts. 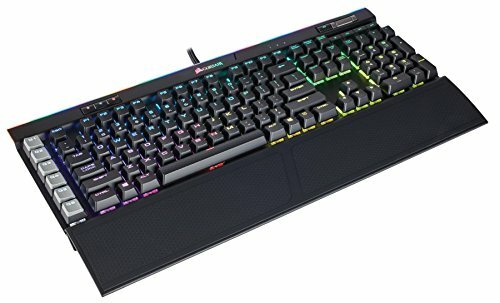 If you care for aesthetic I would definitely recommend this keyboard, even if it means shelling out the extra bucks. A great keyboard with an amazing feel. Came with extra key caps for Q,W,E,R,A,S,D in a silver/grey coloring that feel great. I personally only used the WASD. It came with a tool to remove the caps easily. Works well. I like the wristrest too. The lighting options are pretty cool. Best keyboard I've ever had. Nice sturdy construction, keys are precise, and the included spare switches, keys, and maintenance tools are a major bonus! My wife surprised me with this keyboard for Christmas. I needed one BAD and this one has been pretty great. It's VERY sensitive to touch, so if you like to rest your hands on it, you may hit a few keys accidentally. It's pretty unique, as it's very mechanical typing. You will definitely hear your typing audibly, but it's also very sensitive at the same time. The software to control the RGB is really nice. You can do a lot of different features and colors. I'm glad my wife paid for this as i'm not sure i'd spend the money on this as it's pretty pricey and i'm not using all the features this thing offers. from completed build First pc and build ever! Absolutely beautiful. Feels supreme. Very comfortable for me anyways. Usb pass through is sweet. 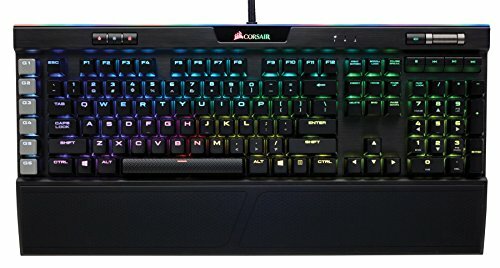 All around if you have other corsair stuff and you can swing it this is the keyboard for you. Not sure if I like having a click in the key or not but so far these speed switched feel great!